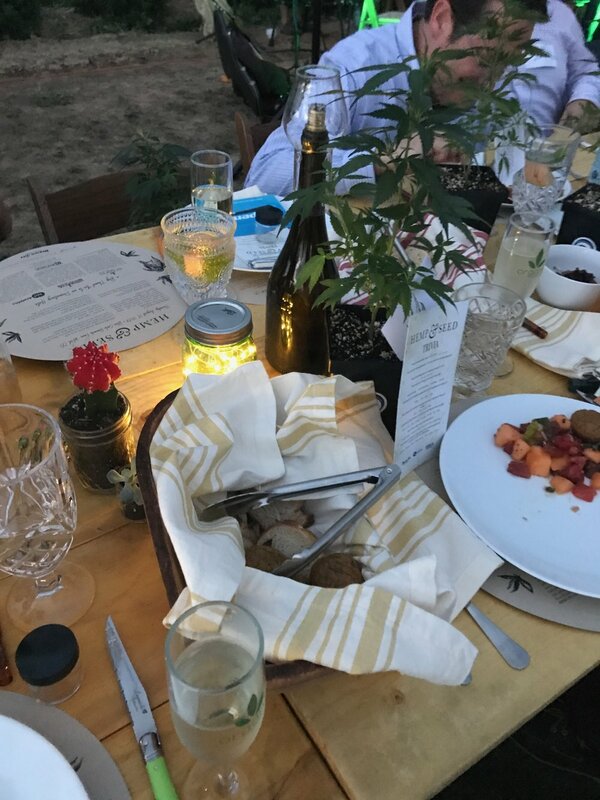 After doing a little work with Mason Jar for a while now, I was honored when Kendal asked if I would be interested in partnering as Hempsley for her upcoming Hemp & Seed event, a 5-course cannabis and meal pairing event to be held on a hemp farm in Colorado. Kendal gave me the opportunity to design the invitation and menus for the event, for which I utilized Hempsley's illustrations. I even got to speak during dinner about Hempsley's mission to bring cannabis education to prohibition areas — check it out in the saved Facebook Live video that I had a friend stream, also shown below!! Hempsley also got to add one of their small Patent #6630507 prints to guests' hemp plants, gifted by Blue Circle Research Farm. Check out how it added to the evening in the photo galleries below! 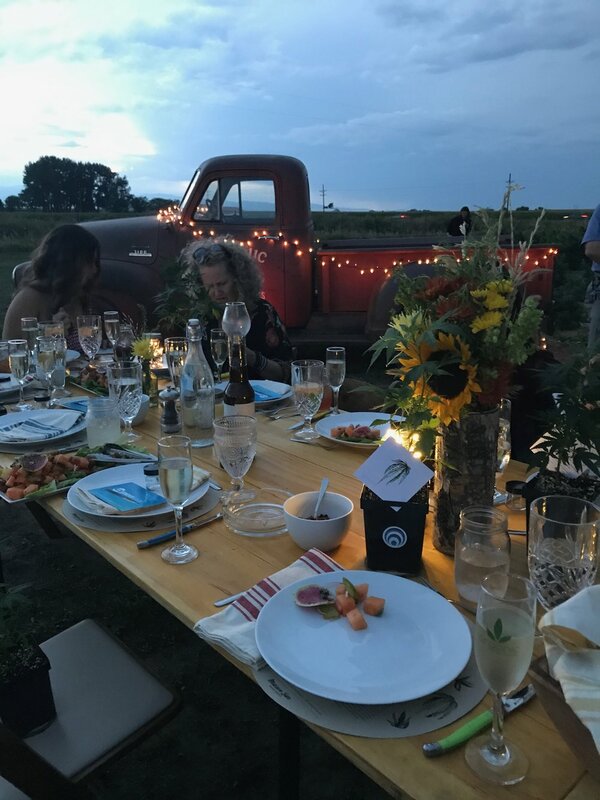 Founder Kristen Williams talks about Hempsley at Mason Jar Event Group's Hemp & Seed cannabis and meal pairing dinner, explaining our mission to bring cannabis education and normalization to prohibition states, starting in our home, Missouri.